Claire is an amazing Texas-based photographer, which is a bit ironic because as talented as she is, she and her husband Jason really belong in front of the camera. Not only are they both unbelievably beautiful, they are so comfortable and confident in each other’s arms, which always makes my job so much easier. I could have photographed these two all day long! 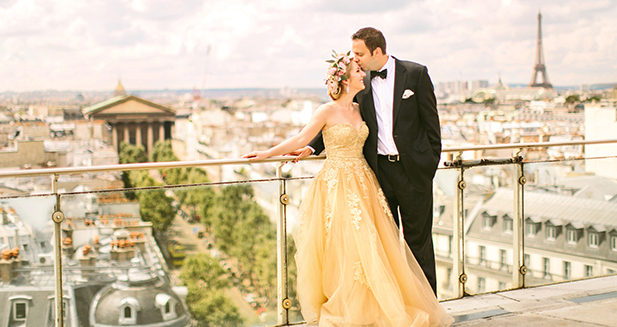 It was so great setting to spend a sunny morning with Claire and Jason traipsing around the Eiffel Tower. Here are some of my favorites from their session! Urška Majer - Wow! Love this images! Claire - Thank you so much Stacy!! You are AMAZING! Demetria Forest - AMAZING!!!!! Not much more can be said. I love that little girl and the happiness of the shared love between Claire and Jason is such an inspiration to others. God bless you Claire and Jason, moma d love you both so much.